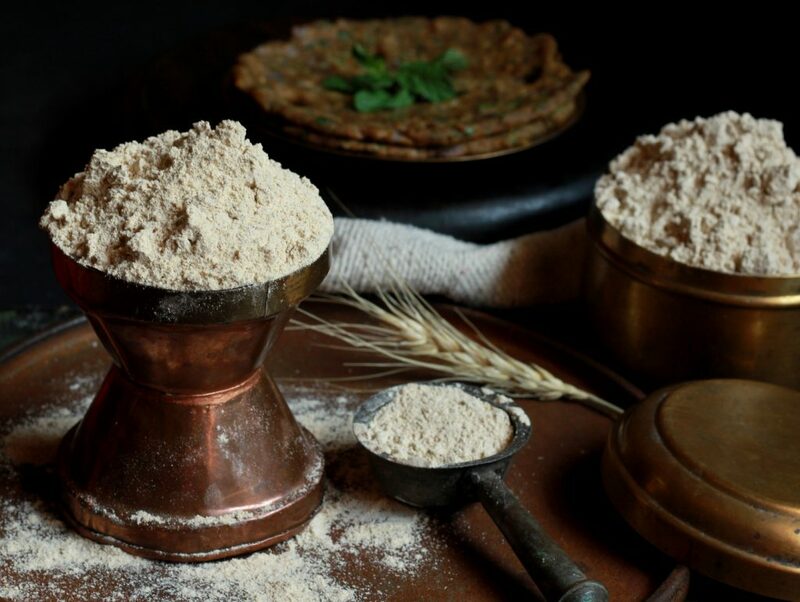 Thalipeeth Bhajani is a multigrain flour mix – a pantry staple in most Maharashtrian households. You can whip up many nutritious snacks in no time, if you have a pre-made stock of this healthy flour mix. The Maharashtrian specialty Thalipeeth (recipe coming soon)makes for a quick wholesome breakfast or is handy when you run out of options for lunch or dinner. Apart from making Thalipeeth, this Bhajani can also be used to make to snacks like Kothimbir Vadi, Alu vadi, baked multigrain crackers etc. There are a lot of variations to the Thalipeeth Bhajani recipe too. The proportion of the grains may vary from region to region or even from household to household. 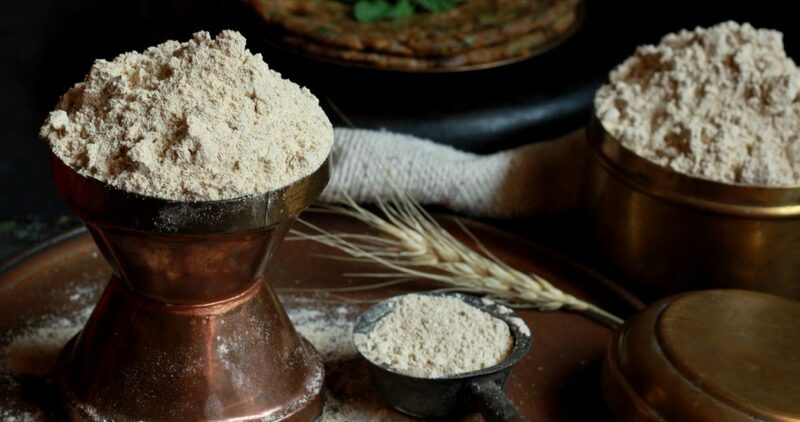 I use my Mom’s recipe which includes most Indian whole grains and is nutritious,easy to make. 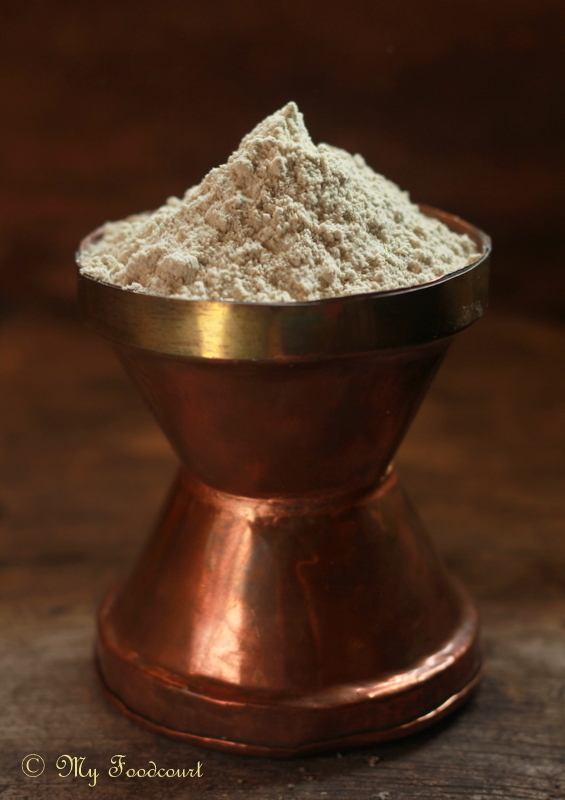 Make the Tahlipeeth bhajani in batches of 1-1.5 kg, store in an airtight container & use as required. Refrigerate the flour mix if you need to store it for a longer time. Dry roast all the ingredients one by one in a heavy bottom pan. Roast till you get the typical aroma and the grains just start turning light brown. Place each ingredient in a plate one by one as you roast it and cool completely.